Psalm 51:9-11 Hide your face from my sins, and blot out all my iniquities. My church often used this verse as an Offertory hymn. After 40 years of attending church, I can hardly read this verse without hearing that music. I’m humming it right now. Why do we need God to Renew a Right Spirit within us? There are a lot of opinions on what was meant when these words were written. 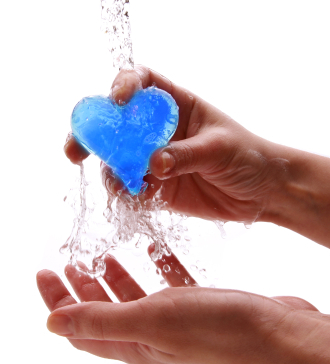 The Psalmist asked for God to create in him a clean heart and to renew a right spirit within him. This is my prayer as well. We don’t need God to create a new heart from scratch, we already have a heart, but I think what the Psalmist is trying to say here is that we can’t make our heart clean apart from God. Creating is an action that only God can do. He is the only one who can truly make something out of nothing. Looking at the definitions of renew above, I am again blessed at the depth of the words chosen in scripture. There are many times in my life where I have felt very separated from God. Where I felt there was no coming back from the sins that I had committed. I felt that no matter how much God loved and forgave others, I could not imagine how He might begin to get past the evil I had committed. I had turned from what I knew was right. I recklessly abandoned my beliefs to satisfy my own desires. I was selfish and self-seeking. Sure I hadn’t done what some of those in jail had done, but I felt that those who came to know Christ after sin were more likely to be forgiven. I had known Him since childhood. I knew what I was supposed to do. I knew that the things I chose were contrary to how my Lord wanted me to live, but I did it anyway. I couldn’t forgive myself, and couldn’t see how God could either. This section of scripture really puts into words what I was feeling. Lord, fix my heart. I am doing what I don’t want to do and not doing what I do want to do. Lord I need a clean heart, a fresh start. I need to be renewed, and only You can make that happen. I want to be right with you again. I want to be able to make decisions that are pleasing to you and help me to spread your word. I don’t want people to look at me and think, that’s why I hate Christians, they’re all hypocrites. I want my actions to match my beliefs. I want to live my life for you, Lord. During my day job, I am an internet marketer for my Realtor Stacy Owens. During my work, I was listing a home that was being sold as-is. That’s code for needs some work. In the description it also says “lots of potential”. I think this home probably needs some restoration. My husband and I love those restoration shows on History.com. 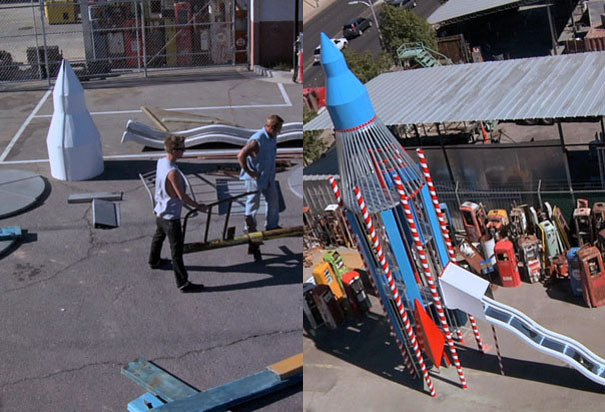 One of our favorites is American Restoration. In this show people bring in old rusted out objects for Rick to restore. He tells them everything he has to do to make it right again. Inevitably the estimated price is stated. Last night, one of the gentleman who brought his item to be restored, upon hearing the price asked, “Why so much?”. Like the items that are brought to Rick’s Restoration, we come to God worn out and sinful. It’s like our perfect exterior has been worn away by life. Our insides aren’t in much better shape. They’re decayed by sin. We’re falling apart. But when God looks at us He sees our potential. He knows what we are in our soul. He still remembers our original state of perfection. When people bring their items to Rick, they usually ask for items to be like new and in working order. Isn’t that what we want from God too? Don’t we want all those hurts, pains and sins to be taken away and replaced with someone who is like new and ready to work for the Lord? Sometimes when we come to Him, we’re not only worn down and broken, but we’re in pieces too. We feel like it will be impossible to ever be right with God or ourselves again. In the verse above we hear the author crying out to God not to throw him away. We don’t want to be separated from God and His love. We want to remain close to Him. We want to be renewed with the Holy Spirit inside of us. We want to remain in his presence. Who doesn’t love a makeover? But what God does for us through Jesus Christ is He restores us; Makes us new again. God restores us through the hope that comes in Jesus Christ. Knowing that we will go to heaven to live with Him one day, allows us to live our lives for Him. It isn’t because of anything we do, it’s because God restores us that we’re able to have joy and be useful. What are we supposed to do once we’re restored? We are to go and tell others of what Jesus has done for us, so that they too might be restored. We can be restored here on earth, but the true restoration comes when we enter His heavenly kingdom. Remember that question the guy asked Rick when he was getting a quote for restoring his project? Why so much? Rick’s answer was, “It’s very important to me to get it exactly right.” He also tells that man it’s going to take a lot of time for it to get done. That’s how God is. He’s willing to put the work in you so that you are constantly being restored towards righteousness. It’s not something that happens over night, but takes time, a lifetime. So what’s the cost? The cost of being restored is Jesus’ life. Why so much? It had to be done exactly right. Are you like new and in working order?